" Wallenboyd " theater down town Los Angeles from as soon as holding a broom and walking was possible till its tragic close during the Reagan era .... Abel Okugawa has been in the scene ... a child prodigy .... always interested in music he started his own career accidentally attaining a Roland mc 303 in 1995 ..... he crafted his first 12" vinyl album , 816:MIX , (released 2001)... he then went on to build and maintain studios in new york city ... having built from the ground up one of the most desired production facilities in nyc " Mirror Image Studios "...getting praise in "source magazine" november 2004 issue no. 182. page 111.. 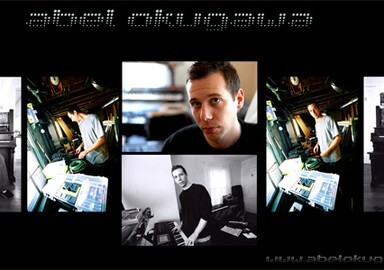 Currently residing in Charlottesville Virginia where he helped design , build and wire the infamous Monkeyclaus studio , where he now works as chief engineer and creates his own music ...his newest release " Magic Cuts " (released 2005) is available as a mini cdr and digital download ... Abel has been a sound designer for multiple dance performances , films and plays .... as well as continuing to release his own works ... performing live from time to time his main focus is producing and recording songs and albums ... he has now recorded a roster of over 300 tracks ...most have yet to be released ! ... he is constantly seeking new outlets for his music as he conjures new albums/singles .. he is known locally as a wizard and sound genius... he cannot help but create music ..... Abel embraces the internet and its amazing ability for international exposure and sales ... he believes in honest relationships being the catalyst for success and ground breaking forms of entertainment through expression ... this is his music .